Hello I have 3 koi fish that are about a year old, and I was wondering if they can in fact mate and lay eggs that are fertilized and will hatch into baby koi fish.. I am asking because before my husband and I got our fish I was reading about them online and it said that typically they don’t reach sexual maturity until the males are about 2 year old and the female’s at about 3 year old. But they are showing all the signs of mating already so I’m just kinda confused as to what to think or look for to be sure I see the eggs and don’t think that they are something else and throw them away while cleaning the pond. Also I was wondering if you could possibly tell me a little bit more about the whole mating process of koi fish, for example, like what Time of year, how to tell if they laid eggs (and what they might look like), how to tell if they have already mated, etc. etc. etc. But all/any information you can come up with or share with my husband and I would be an amazing help to us. Thank u in advance for your time and consideration in our matter. We hope to hear from you soon. Have a wonderful evening. 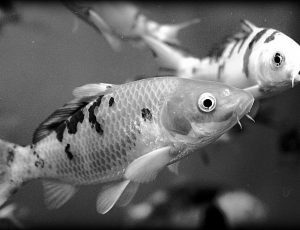 Whatever the case, koi and goldfish can exhibit spawning behavior prior to them having the actual ability to spawn. Sometime actual spawning behavior will result in eggs being released sometimes not. Sometimes eggs get released and are immediately eaten. So it gets tricky. It is an interesting behavior to witness, and an amazing act of nature typically occurring in relation to water temperature changes and some other factors. Keep the great questions coming everybody! Check out this cool project completed by Full Service Aquatics of Summit, NJ. 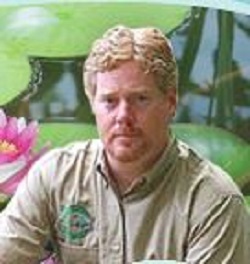 FSA designs, installs, and services koi ponds, water gardens, and every type of water feature. 4 Comments on HOW OLD DO KOI NEED TO BE TO SPAWN? I have 3 ponds one Is a koi pond 15cu mtr . That is invaded by one local frog population 43 koi to 50-70 frogs will they eat the koi eggs or babys. Should i remove the frogs. The second pond is slightly bigger and only 10m away. This has a few Fish and again lots of frogs. Then the big pond. 75m x 10 x 2m is full of mirror and Common carp but has only 50 frogs along its 200 m shoreline. Im annoyed that the koi population was decimated by herons from over 100 koi. To Just 43. I desperatly want the koi to breed peacefully. Will the local frog population be a problem if I keep the herons at bay. ?